Matte Vs. Glossy: Which Suits Your Cabinets Best? You are here : Home / Blog / cabinets / Matte Vs. Glossy: Which Suits Your Cabinets Best? When buying kitchen cabinets, you are already aware that you need to consider size, material, style and colors. What about its finish, though? Have you considered whether you will choose matte finish or glossy cabinets? Countertops with a matte finish are a good example of a home design fad that has taken the interior design world by storm. They have been around for a while but they started attracting the eye of homeowners about five years ago or so. This finish is considered chic and contemporary. Since glossy finishes are the quickest to show scratches and stains, matte finishes are ideal for those who want to hide their furniture’s imperfections. On the other hand, cabinets with a matte finish absorb light instead of reflecting it. As a result, this finish will not help your space feel bigger. High gloss cabinets are ideal for small spaces since they reflect light and are great at making limited spaces look bigger. And since they reflect so much light, smudges, fingerprints and scratches are more noticeable than they are on matte kitchen furniture. Nevertheless, they are easy to clean so those noticeable imperfections may not be a big deal since you can remove them effortlessly. Still, glossy surfaces are not for everyone. They only look good on modern kitchen designs and not so much in homes with traditional architecture. Now that we’ve provided you with a quick overview on glossy versus matte kitchen or bathroom cabinets, you can now make a sound decision. 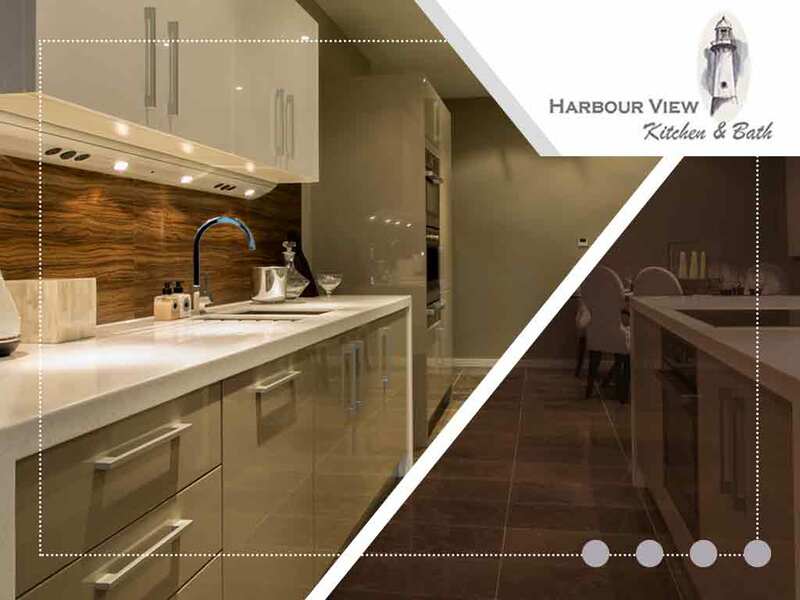 In case you’re still having second thoughts on which one will suit you best, Harbour View Kitchen and Bath will be more than glad to help you choose what’s best for your home. Our company serves Suffolk, VA, and nearby areas. Call us at (757) 644-0848 to know more about our services.